While working in an office can be a lot of fun, it comes with its own set of problems. Many office workers report some level of discomfort in their back at the end of their workday. These problems won’t solve themselves, so it is up to you to take so positive steps in order to feel better at the end of the day. 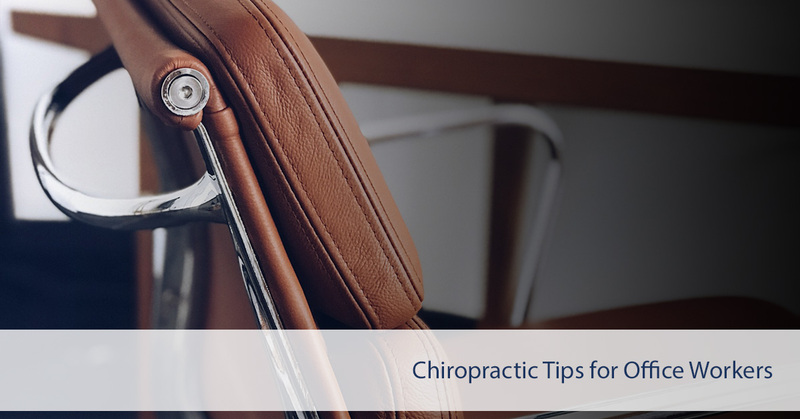 In this blog entry, the chiropractors at Schilsky Chiropractic in Jacksonville will cover a few simple ways to make your day at work more comfortable. If you try these and you still feel uncomfortable or sore, give our office a call. We would love to provide you with world-class chiropractic care. Chances are good that if you are experiencing back or neck pain while you are at work, you are probably sitting incorrectly. While chair manufacturers have made great strides to improve their designs in an effort to encourage better posture, it is all too easy to slump or lean. While it will take time to make good posture a habit, if you spend a few seconds every time you sit down thinking about and adjusting the way you sit, you will notice that your discomfort will decrease. Sit as far back into the chair as possible. Your feet should be flat on the floor. Adjust your chair so this is comfortable. Raise or lower the armrests until you don’t feel like your arms are hanging from your shoulders or pressing your shoulders up into a shrug. Your keyboard should be directly aligned with your elbows — you don’t want to be reaching up or down to be able to type. Humans were never meant to sit down all day. It is important to take small, frequent breaks in order to help reset your spinal alignment and to feel better. A quick walk around the office once per hour can improve your circulation, elevate your mood, prevent cramps, and a lot more. Studies have shown that frequent walks might also reduce the risk of cardiovascular problems later in life. If you have implemented these changes into your days at the office and you still feel pain, numbness, or discomfort, please give us a call at Schilsky Chiropractic. Our chiropractors are here to help reduce back pain through natural means. Schedule an appointment with us now so we can help you feel better at the office and outside of work. You don’t have to suffer through back pain, no matter how minor or severe it may be, when you have Schilsky Chiropractic on your side!